Modern mobile cranes are always employed when heavy loads must be lifted quickly and at various locations. They are used, for example, in the recovery of broken down trucks. The field of operation is not restricted to paved surfaces, but also includes deployment in open terrain. 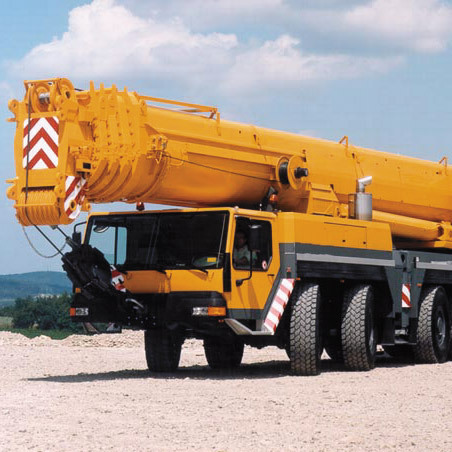 Therefore, these cranes possess an adaptive design of running gear in which the suspension of each independent axle can be adapted to the relevant terrain. This is implemented using a suspension cylinder which is fitted with a displacement sensor. The sensor acquires the cylinder stroke and consequently enables the best possible adaptation to the form of the terrain.